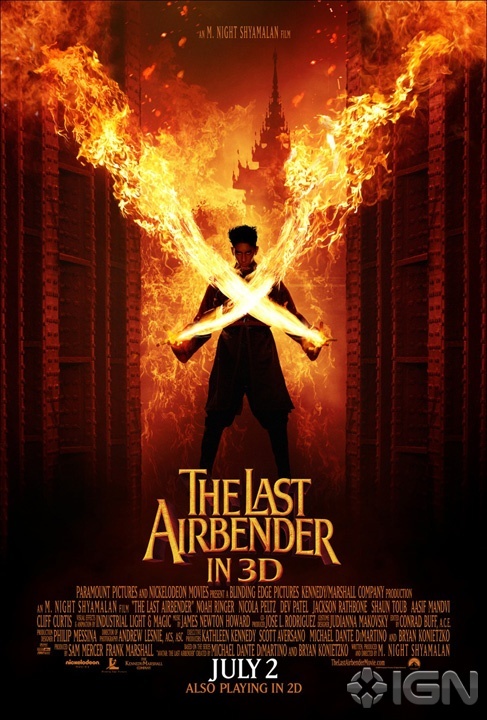 IGN has unveiled two exclusive one-sheets for The Last Airbender In 3D. Avatar was a game changer, and Hollywood has taken notice. Countless big tentpole movies, including Harry Potter and Clash of the Titans, are going through a post production 3D conversion process to cash in on the 3D craze. 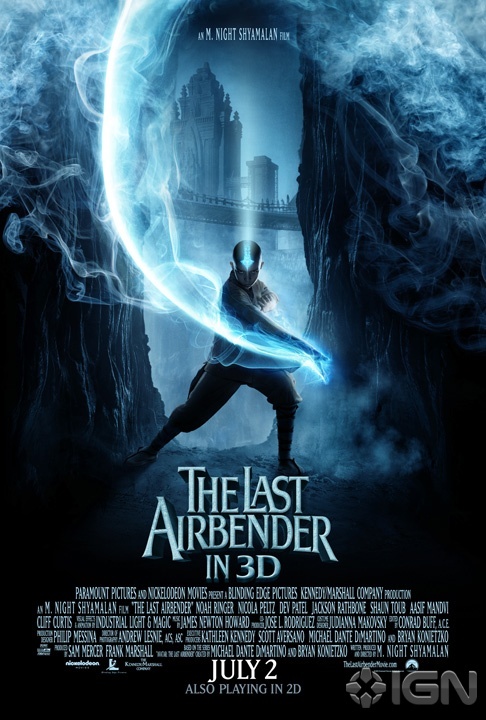 Paramount has announced that The Last Airbender will be the latest film to be given the 3D conversion treatment courtesy of Studio D, the company that worked on James Cameron’s Avatar.